Rhodium bars from recognized refiners have been a rarity in the bullion market, but PAMP Rhodium Bars have made this situation change. The first decorative motif ever to embellish a precious metal bar, PAMP's distinctive Lady Fortuna design is famed the world over as assurance of PAMP quality and authenticity. Here, the Roman goddess of prosperity is portrayed with all of her mythical attributes: Sheaves of wheat, poppies, Horn of Plenty, precious coins, and Wheel of Fortune. Rhodium bars from recognized refiners have been a rarity in the bullion market. This product can be authenticated through PAMP's VERISCAN™ Bullion Identification Security System. You can store your 1 oz PAMP Suisse Lady Fortuna Rhodium Bar .999 (Veriscan) safely and securely with Kitco Allocated Storage. Kitco offers you global options for gold, silver and platinum bullion storage that is fully segregated, insured and allocated. Kitco's network of top-tier vaults includes some of the most secure storage facilities in the world, in Canada, Hong Kong or the United States (COMEX approved). Cayman Islands storage is also available (certain conditions apply). Find out more about keeping your gold, silver and platinum purchases secure, with our Global Precious Metals Storage Solutions. Why buy PAMP Suisse Rhodium Bars from Kitco? Kitco is a trusted leader in the precious metals industry. 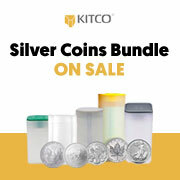 Rhodium bullion bars and other precious metals sold by Kitco are recognized in bullion markets around the world. With our focus on rhodium bars and rhodium bullion, you can benefit from our low rhodium bullion prices and premiums that are highly competitive in the industry. At Kitco, we make it easy for you to manage your wealth. You can sell or buy rhodium bars and other precious metals using our convenient online store, or by contacting our team of highly trained precious metals specialists. Backed by our global information network, Kitco has been proudly serving our customers since 1977.